Terrafirma cross drilled and grooved brake discs offer increased bite from cold and excellent fade resistance. Grooves expell dust and gasses and the holes help to keep the brakes cooler. Combine with good quality brake pads. 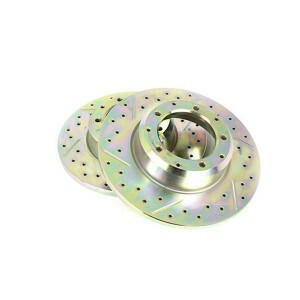 Brake discs must be ordered as a pair, ie 2 off.